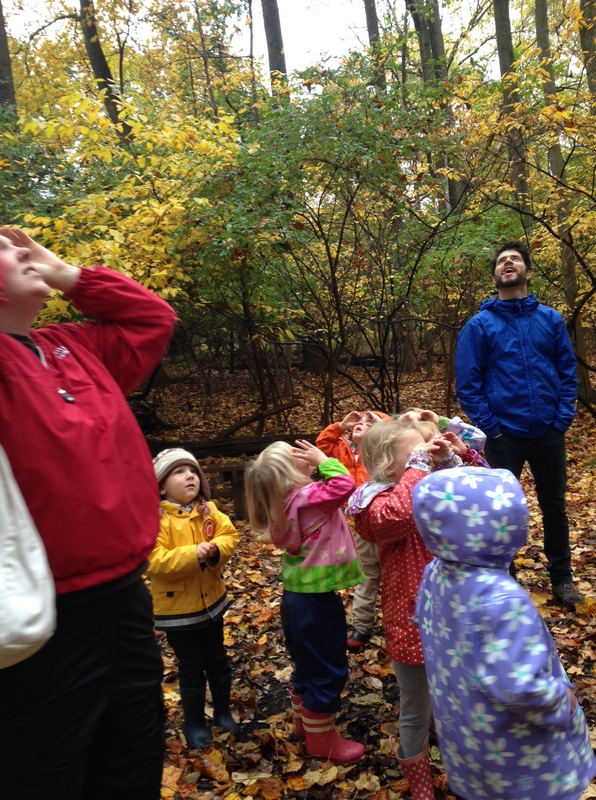 The Nature Detectives splashed around through the woods this week, enjoying some fall rain! 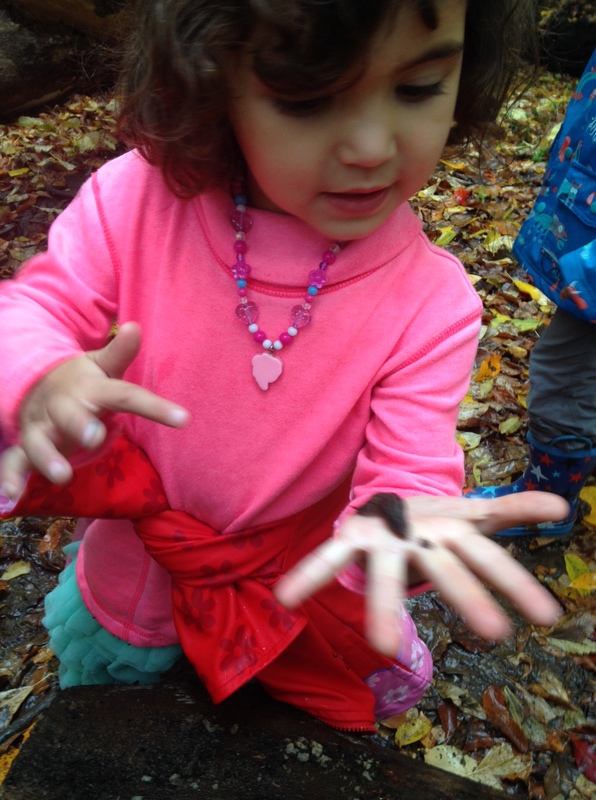 With the rain, we observed an abundance of fungus, mushrooms and slugs appear- all enjoying the wet logs and trees. 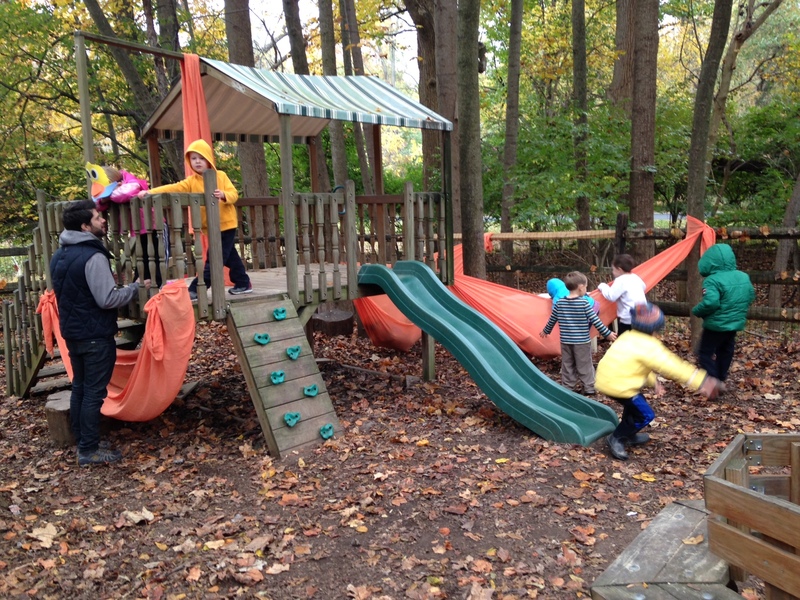 We continued learning about squirrels preparing for winter, by looking for and creating squirrel dreys! 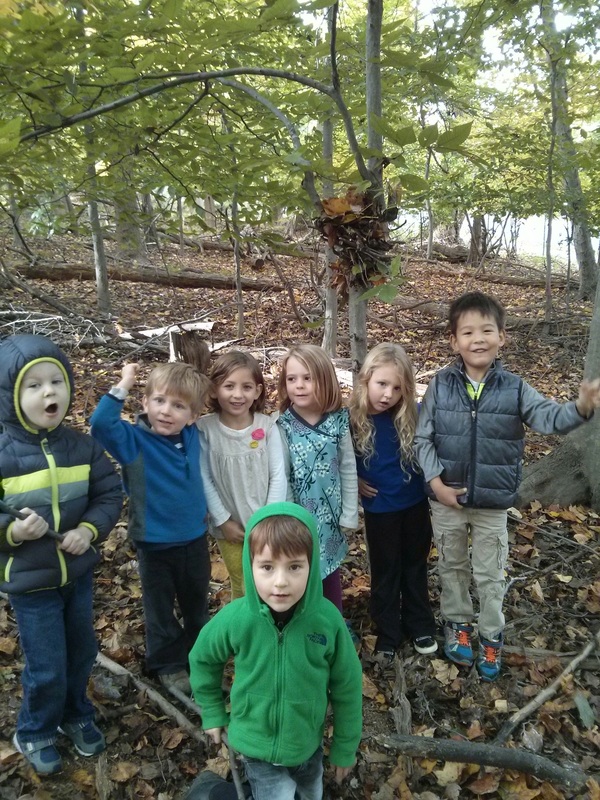 On our hike with Alex we used our owl eyes to hunt for dreys in the trees, as well as created our own with leaves, sticks and even acorns! Both classes also enjoyed creating our very own I-Spy book with found items from Woodend! 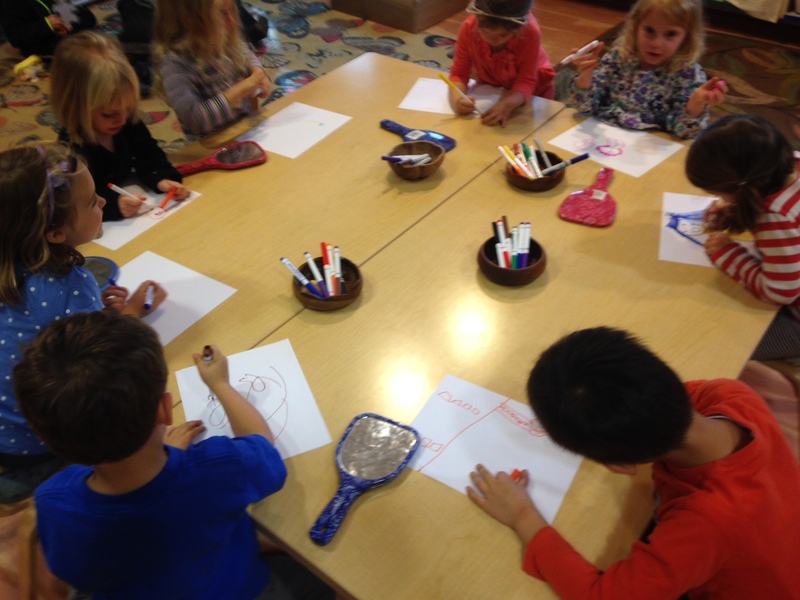 Each child got to create their own picture, which we are assembling into AM and PM I-Spy books! 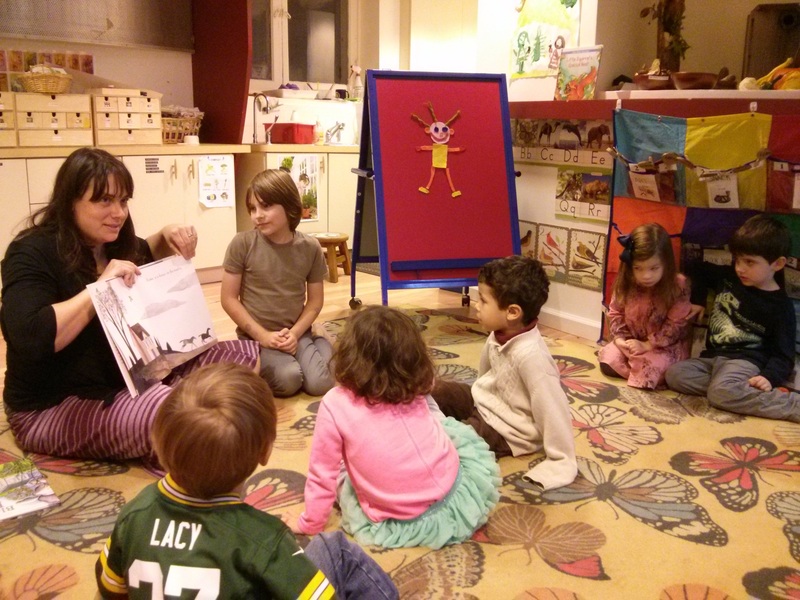 This week both classes enjoyed parent readers! 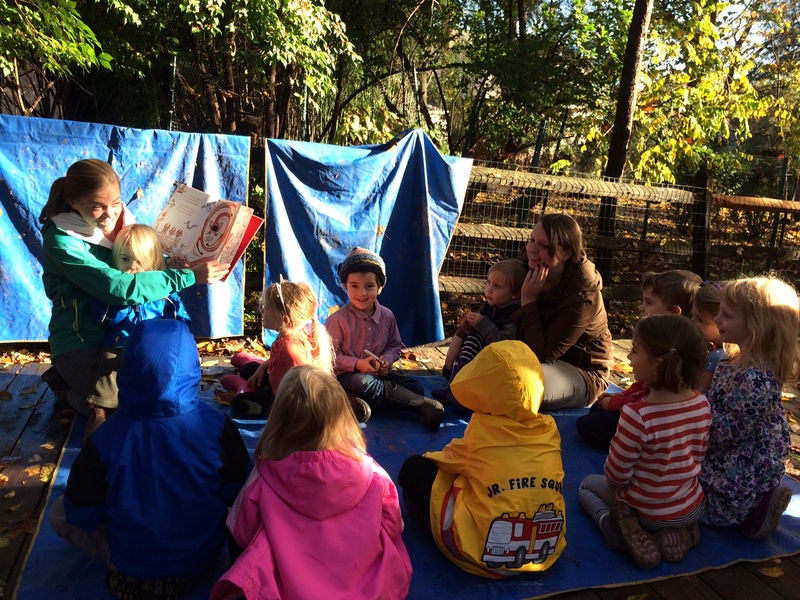 The AM class enjoyed a silly fox book on the stage while the PM class got to hear their story from a Nature Preschool Alumni! Both classes created birthday books this week, as well working on our self portraits that we are excited to share with you all at conferences! 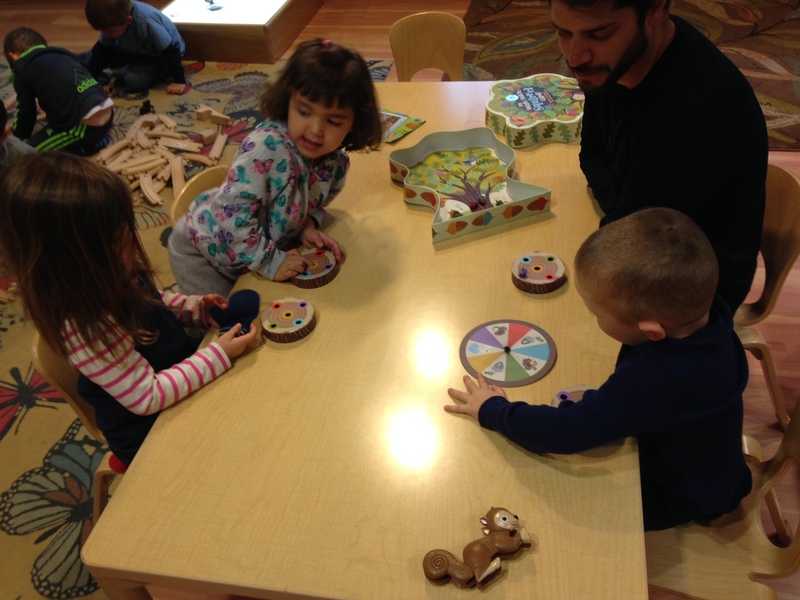 A sneaky, snacky squirrel found its way into the classroom and we had lots of fun finding different colored acorns for him to munch upon! 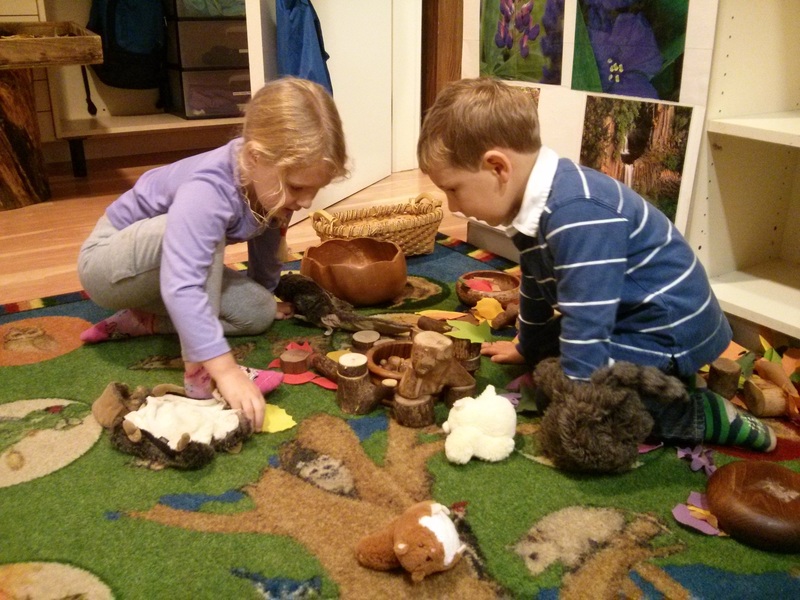 In the dramatic play area, we added puppets, squirrels, leaves and natural wood for the nature detectives to create their own squirrel dreys- and beyond! Down came an acorn and the squirrel was pleased!